​One of the choices facing parents and their children when selecting a new school is whether they want their child enrolled in an International Baccalaureate program. The IB, which has more than a million students enrolled in more than 4000 schools around the world, was originally developed by Swiss educators in 1968 as a global education and qualification. The main claim to the IB is that while it includes academic rigour in its programs, it aims to personally develop the student with units such as community activity, long research projects and contemplations on the nature of knowledge. In Australia, secondary schools use the IB in conjunction with their state matriculation exams and qualifications, not instead of them. There are more than 140 schools in Australia offering one of the three main IB programs: the Primary Years Program (PYP) for ages 3-12, the Middle Years Program (MYP) covering ages 11-16, and the Diploma Program (DP) for senior secondary students aged 16-19. The Diploma Program aims to develop students who have excellent breadth and depth of knowledge and, according to IB's marketing, students who flourish "physically, intellectually, emotionally and ethically. "But while the IB is supposed to foster independent thinking and global acceptance, it's not always clear how this aids individual students. 'Holistic education' approachBeth Blackwood, chief executive of the Australian Heads of Independent Schools Association – who has experience as an educator with the Diploma Program – says the IB is holistic education. She says its success lies in the fact that teachers are introduced to a global network that adds to their expertise. Students must choose their study from six different subject groups, ensuring they are well-rounded in their knowledge. "The emphasis is on breadth and on broader, well-rounded individuals," says Blackwood, "not just an ATAR of your top four subjects." She says the IB has gained a good reputation among parents because the study habits and the learning methodology of the IB often enhance student performance. "Parents choose it because it's international, it makes for a well-rounded student and it supports the other studies." She says the IB has international perspectives but students are expected to explore and understand their home culture and language. This means that the IB in Australia is not caught in the hot-house mentality of schooling in North Asia. "The IB works well in Australia because our schooling already leans to allowing children to experience the joy of learning," says Blackwood. St Andrews Cathedral School in Sydney offers the MYP and DP in the International Baccalaureate, so that those doing the Middle Years Program are being prepared for the Diploma Program. The junior school students do elements of the Primary Years Program but the school is not accredited to do the full official program. Head of school Dr John Collier says the co-ed school emphasises a broad education, which includes co-curricular activities, compulsory sport and excellence in studies. The IB is a good fit with the school's mission, he says. "The IB is run for the middle years and in Years 11 and 12 they can do the Diploma Program." Collier says the Middle Years program encourages students to engage with the real world and covers eight subject areas. The Diploma Program, for senior secondary students, acts as a framework, inside of which runs the Higher School Certificate syllabus. Collier says the IB programs are not "hot housing" or accelerated learning – something the school is not in need of given its academic high achievement. He says the IB focus on meta-cognition – or learning how to think not what to think – supports what the school is aiming develop in its students. "We have high numbers of our students going out to NSW universities [86 per cent in 2015] and this school is known for academic achievement," says Collier. "The IB Diploma is offered as a choice, with separate classes. We teach the curriculum and do the HSC. The IB adds another dimension." St Andrew's introduced the IB Diploma Program in 2009 to expand the academic choices for Year 11 and 12 students. IB Diploma students complete six subjects from the groups: Literature and Language (English); Language (French, German, Japanese, Spanish); Business and management, History and Psychology; Biology, Chemistry, Design technology and Physics; Maths; and the Arts (Music, Theatre, Visual Arts). As well as choosing six subjects, the students do an extended essay, study theory of knowledge and creativity, and do programs of activity and service. The schools that offer the IB – known as World Schools – complete a rigorous authorisation process. IB teachers are expected to participate in professional development and share their expertise with global IB colleagues. We know nothing can replace the loss of mother. Our heartfelt condolences with you. 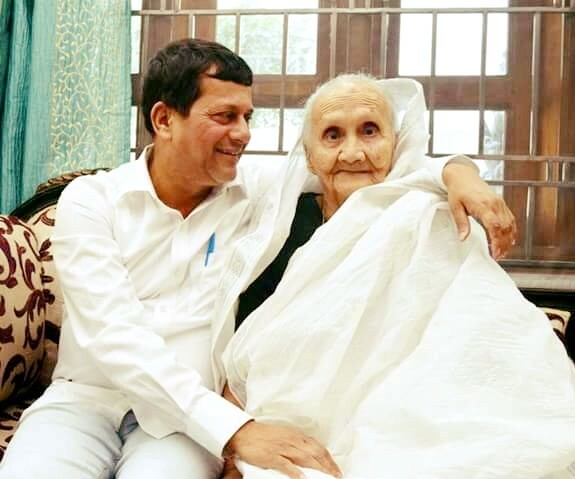 Your mother was an courageous, simplest human being. No matter wherever she is, she’ll always be watching over you. her thoughts, hopes and dreams live on in you. She will stay with you forever..
Definitely She will live on in our hearts forever. is an academically rigorous, internationally used, specialized, English language curriculum which is offered to students to prepare them for International Baccalaureate and CIE A-level. • Cambridge Secondary 2 is typically for learners aged 14 to 16 years. It offers learners two routes: Cambridge IGCSE and Cambridge O Level. • Cambridge Advanced is typically for learners aged 16 to 19 years who need advanced study to prepare for university and higher education. It offers learners two routes: Cambridge International AS and A Level, and Cambridge Pre-U. 3. More advanced curriculum and variety of subjects to choose from. 5. Best option if parents are NRI, or are planning to move abroad. 1. Favorable for parents without Transferable Jobs. 2. Easily available Textbook, Teachers. 3. Moderately loaded curriculum giving options for Students to explore more extracurricular activities like Dancing and Sports. 1. Depends wholly on the State government’s competence to maintain quality of education. 2. Quality of Teaching varies according to school. 3. Might Lack in basic facilities. 4. Quality of Content (No Errors/ No Printing Mistakes) may be questionable. Hope you have found more clarity regarding which board to select for your young ones. I am satisfied user of above mentioned software, really it helps in many aspects in our day today professional life. I have collected some of ebooks from various websites at the same time I was searching ebook reader for my students in our school library. then I tried so many but this software attracts me for many reasons. First of all it's amazing features and user friendly options with a great organizing capability to collect ebooks from our pc where we have stored. here I have given some of alternative applications for your reference please try some of them and use any one which you like most according to your wish and need. Icecream Apps: Icecream Ebook Reader is a great application that allows you to organize, store and read e-books on your computer. It deals with books in common e-book formats (EPUB, FB2, PDF, CBR, CBZ and MOBI) and gives you the best reading experience. Icecream Ebook Reader allows organizing your e-books into libraries and thus optimizing your reading experience. You can view books in Book Shelf or Table View modes and check the recently read books, favorites and all books and also filter them by formats. The program makes the reading process comfortable due to special features. Ability to read in full screen or window modes; Quick access to the table of contents and list of bookmarks; Bookmarking tool for easy search; Font size control; Page view modes: columns and regular layout; Quick access to the profiles (Day - for reading in good lighting, Night - for reading in low or no light, Sepia - for reading in average or below-the-average lighting conditions). All these options help you read comfortably and never get lost in a mess of e-books chaotically saved on your hard drive. The program is available on multiple languages (English, German, French, Spanish, Russian, Japanese, Portuguese, Polish, Greek, Simplified Chinese), free of charge, and requires no registration. I am proud to be a Librarian especially for teens. My education gave me strong research skills, that I can use effectively in our school library with curious minds of the 21st century. A school library is a treasure house of knowledge. . It creates a taste for books after school life. gives opportunities to make best use of our leisure time. It gives us day-to-day information of the world. teachers and the students need a good library in order to keep their knowledge fresh and up to date. Libraries plays a vital role in the development of our society and country. S. R. Ranganathan, who is known as “Father of Library Science in India”, was the first person one who identified the real need of libraries and library science education in our country. 5. Libraries are growing organizations. Please go through the letter which was written by our beloved founder Dr. Achyuta Samanta on "The success story of KIIT and KISS" in his words. You must be doing fine. It has always been a great pleasure on my part sharing with you all the good things happening to KIIT, KISS and me from time to time. As you know, I firmly believe that we not only have with us God’s blessings for staying focused dedicatedly on our noble cause, we also have had your good wishes always. 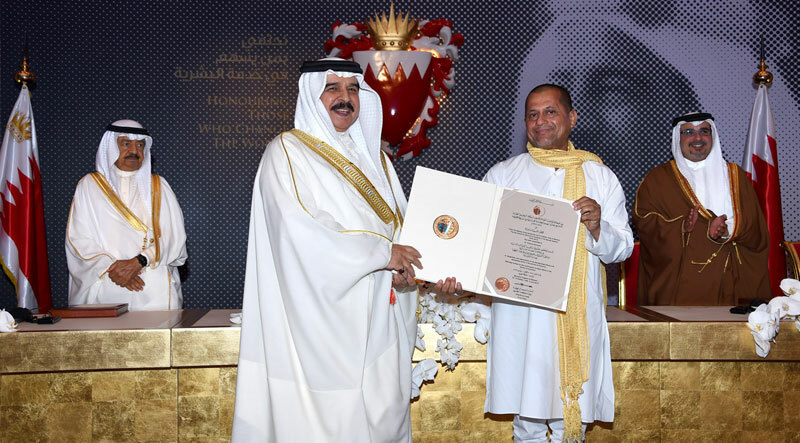 You are already aware of my getting the highest civilian award of the Kingdom of Bahrain for Service to Humanity- the ISA Award last month. I was also invited officially, the only Indian, to participate in the recently concluded Oslo Education Summit at Oslo and to address as Key Note Speaker to a gathering of 350 Vice Chancellors and Policy Makers in Madrid (Spain) for an hour. It really fills my heart with immense happiness and satisfaction that I have been able to sensitize several world leaders about "poverty alleviation through education" which we have been doing for the last 24 years through KISS. Once again, I am swept with immense happiness on the United Nation’s granting its highest recognition for NGOs - "Special Consultative Status" to KISS following unanimous approval of all Member Countries of the UN and passing of a resolution to that effect in the General assembly of the UN. KISS, 7th till date in the entire country to get this special UN recognition and status, went through a very rigorous scrutiny process beginning since 2009. We attach herewith details about this recognition for favor of your information. Please forward and share this link for the greater visibility in social media.